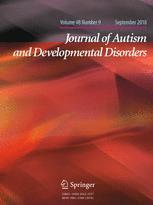 During 2017, the Journal of Autism and Developmental Disorders saw 1064 article submission where 35% were ultimately accepted. A big thank you to the Journal’s editorial team for recognizing the diligence of everyone who contributed to the peer-review process. Last year, I provided feedback and publication recommendations for a total of 7 articles.